Former bantamweight champion T.J. Dillashaw has been suspended for two years following a positive drug test administered around his last fight in January. On Tuesday, USADA (United States Anti-Doping Agency) announced Dillashaw’s suspension for using EPO — a synthetic hormone used in blood doping that is typically used to help increase conditioning and endurance. Dillashaw did not contest the suspension so he will not be eligible to return until after January 18, 2021. 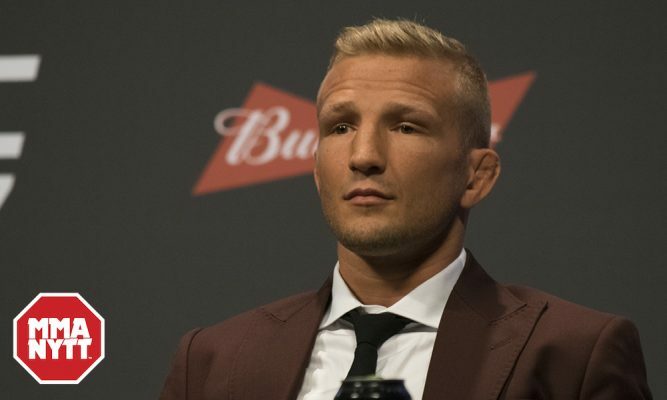 “Dillashaw, 33, tested positive for recombinant human erythropoietin (rHuEPO) as the result of an in-competition urine sample he provided on January 18, 2019. rHuEPO is a synthetic hormone used to stimulate the body’s production of red blood cells, thereby increasing oxygen transport and aerobic power, and is a prohibited substance,” USADA officials said in a statement. EPO is not a substance that would ever be found in a supplement. The drug must be administered through an injection and it’s most commonly used amongst endurance athletes such as runners or cyclers. “I’m quite familiar with EPO from my days investigating professional cycling teams,” UFC vice president of athlete health and performance Jeff Novitzky told ESPN on Tuesday. “It’s a very effective substance. It’s not a substance you find in contaminated supplements; it’s injectable only. You have to know what you’re doing when it enters your system. Dillashaw had previously been suspended for one year by the New York State Athletic Commission for the same positive drug test while also being fined $10,000. Dillashaw lost that fight in January to flyweight champion Henry Cejudo via first round knockout. 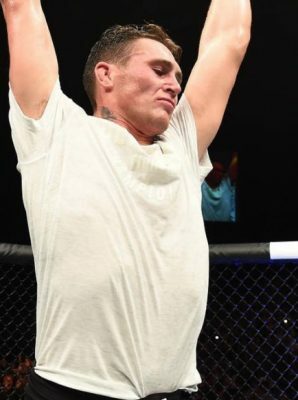 Following the suspension handed down from New York, Dillashaw relinquished the UFC bantamweight title voluntarily and a new champion will be crowned at UFC 236 when Cejudo faces Marlon Moraes in the main event. Dillashaw will now have to sit out until 2021 following the two year suspension handed down by USADA.